The Institute of Plumbing South Africa, in collaboration with PCD College, have made available eight full plumbing learnership/apprenticeship bursaries to deserving candidates wanting to obtain their plumbing qualifications. To find out more information please follow the below link to download the official letter. 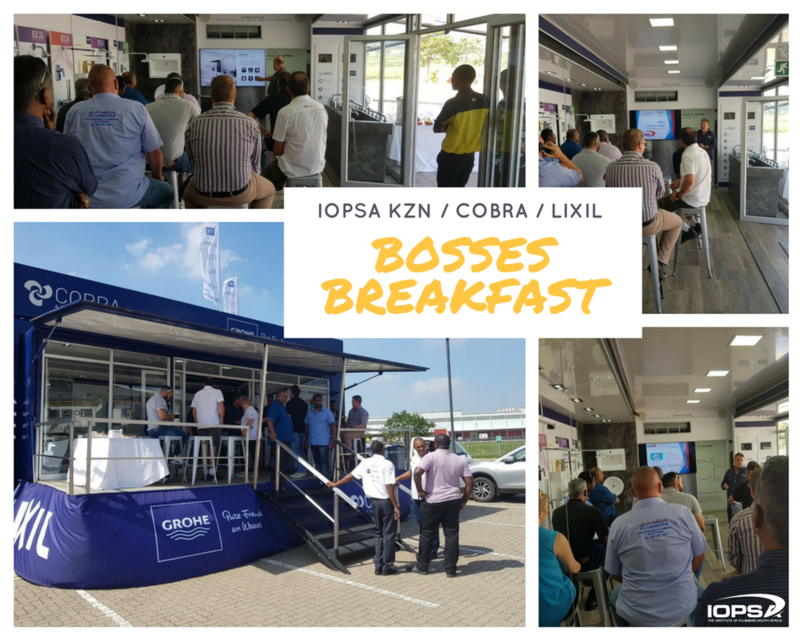 The IOPSA KZN Committee were delighted to kick off their first Bosses Breakfast at the Builders Warehouse Riverhorse Valley, on board the Grohe Tour Truck on the 29th of March 2018. 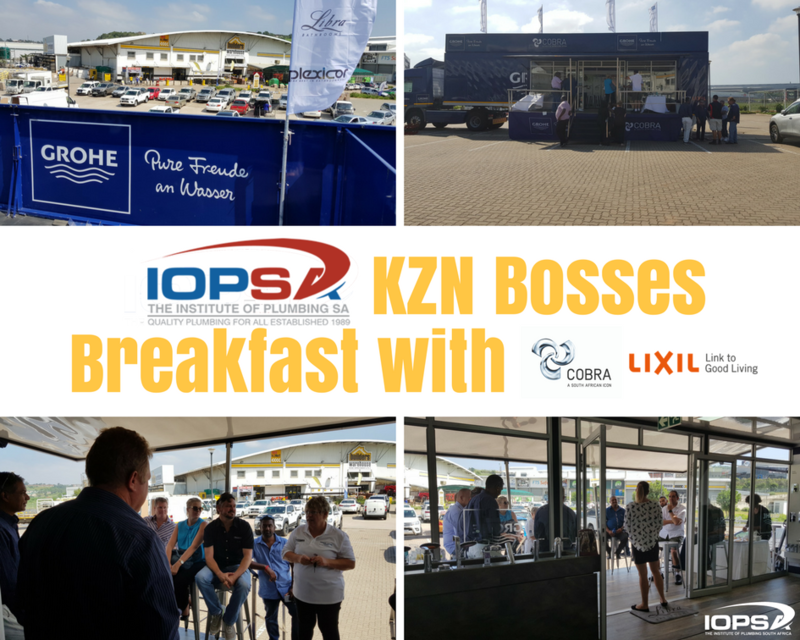 The event was a celebration of those IOPSA Member Companies in KZN that attend meetings regularly and provide input and insight within the Region. Special thanks is extended to Patrick Gordon of Cobra (Lixil) as well as his support team on board the elegant Grohe Truck. A further thanks to Gail Whitear for the insightful Motivational talk – albeit with a mischievous crowd, she provided our guests with the tools to develop and grow even further. The KZN Region is privileged to have Steve Brown as a mentor, and are thankful for his presentation highlighting the benefits of IOPSA and creating awareness of the multitude of projects that IOPSA have on the go. IOPSA KZN wish to commend those that travelled from far; Ballito 50km, Pietermaritzburg 80km and Port Shepstone 132km. Another successful event within a dynamic expanding Region. It goes without saying; use a Professional Plumber to ensure that you are protected from bad workmanship not only for Material damage, but you are protected from death and serious injury. 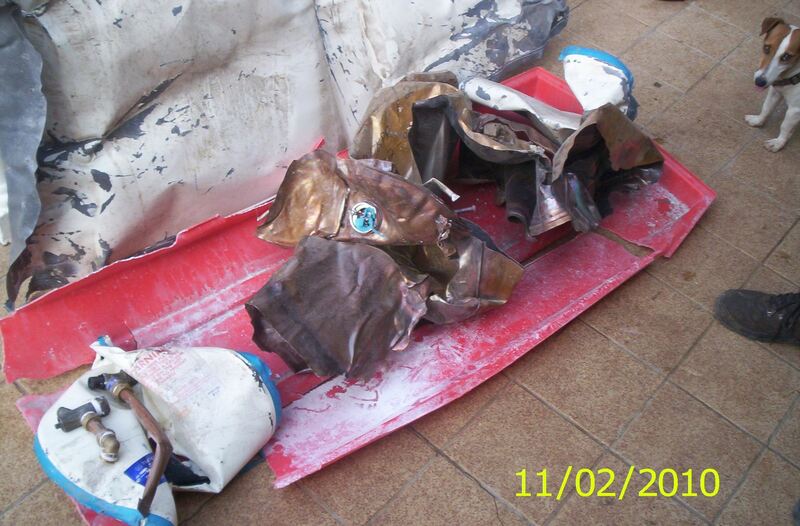 Below are some images of a T&P (Safety) Valve that was blocked off in 2010 in the KZN Region. The results disastrous to say the least. 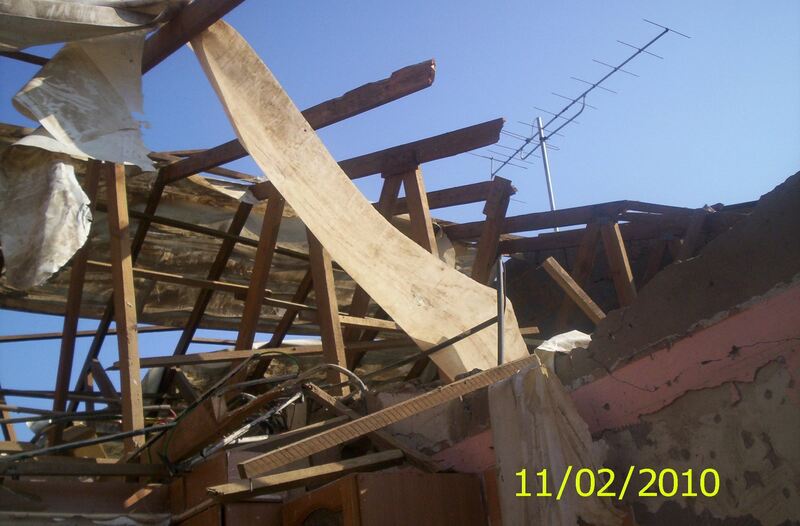 Garage door, the brick structure cracked. 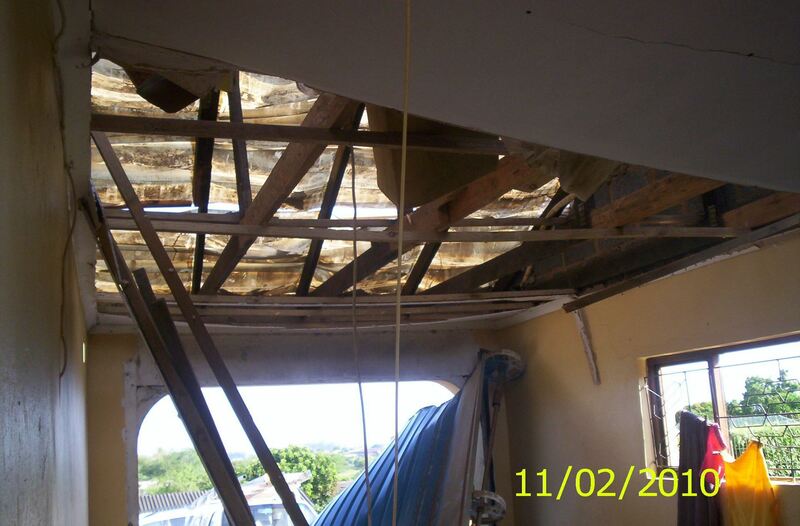 The SANS Regulations for Geysers, water pipes and Buildings are there for your Protection. Ensuring compliance and adherence to these standards maintains Quality Plumbing for all. Wow, what a change has swiftly come upon us. 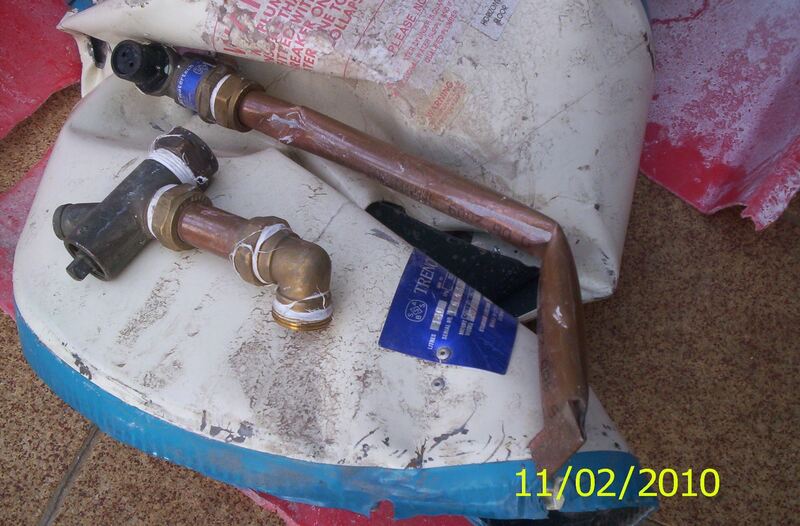 Having started my own plumbing Career 14 yrs ago PIRB didn’t exist, it was but a twinkle in IOPSA’s eye. How I learnt my plumbing was through those around me. I did an apprenticeship and have no formal plumbing training. Was this the best way? Time has shown us that if we only have one source of learning we tend to fall horribly short. I have always been hungry for knowledge, I want to know more, I want to do things the best I can. Why? That’s so much effort, right? I hear plumbers saying I just want to do my work and go home and enjoy my life. What kind of a life is that? My most valuable asset is myself. My knowledge is power for me to create a better life than just doing my job. I get to create hope for those around me by being able to up sell my skills. When I walk into a client’s house and am able to tell them that according to SANS 10254 their geyser installation needs to be rectified. It makes me feel proud to be a plumber that I am the same quality as an engineer. How did I learn about the SANS 10254? Only because of PIRB, without this board I would have ended up without a business because as many of you know if you don’t install according to the SANS and sign a COC you are held liable and need to correct your mistakes. Fortunately for me I am hungry to learn and then to teach my fellow workers and employees but unfortunately from what I have learned is that there are many that just don’t care. They are not proud plumbers because all they want to do is work with their hands and spend no time in self-investment. Yes, I work with my hands, but I need to work with my brain and learn new things. In my life time watching how fast technology has advanced is breath takingly incredible. Surely the plumbing industry is advancing as well? If you don’t think it is, you better get out from under that rock because you will very shortly find your table without food. IOPSA is working hard at keeping its members current on what PIRB is doing and how they are both advancing the South African National Standards (SANS). They are changing peoples’ perceptions of what a plumber is. But that won’t happen unless we educate ourselves. So PIRB looked at the Australian system that is working so well and how can we apply it in South Africa. Yes, it’s a work in progress and is being constantly worked at by Lea and Martin’s Team. So the real question is to be or not to be CPD? What is Continuous professional Development? In many professional industries such as doctors etc. What is it for? And why all the fuss and why do I now at the age of 40+ have to start doing these CPD points. The webinars, the meetings, this is not what I signed up for as a plumber right? Well you are wrong. I don’t want to be classified with the same guy who calls himself a plumber but who’s workmanship is sub standard and doesn’t even know his own regulations which he signed up to the day he decided to be a plumber. I am proud to be a plumber and if CPD is the way to ensure I and my fellow plumbers increase our standard of work, I whole heartedly embrace the challenges that will come with it. Because I know the future moves on and will do so without me unless I keep up with the changing times. The only constant in our lives is “change”. What saddens me is that my fellow plumbers are fighting this change and instead of seeing the CPD system as a great way to increase their work and knowledge they see it as a waste of their time. They are not prepared to invest any time into their self-development. My question to you is how without Continuous Professional Development are you going to comply to the changing standards? JOIN TODAY AND RECEIVE A FREE WEBINAR to the value of R250! IOPSA obtains Health & Safety Grant once again for it's members! IOPSA is proud to announce that the Federated Employer’s Mutual Assurance Company (FEM) has approved a second year of funding for a much-needed grant which will allow IOPSA to engage the services of a Health and Safety Officer, who is an expert in their field. The position will carry great responsibility and the person will have an extensive knowledge in this field. 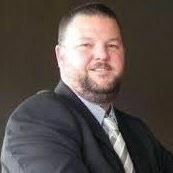 With an in-house Health and Safety Officer, Doug Michell, IOPSA will be able to provide further occupational health and safety training and advice to members as it has for the past year. 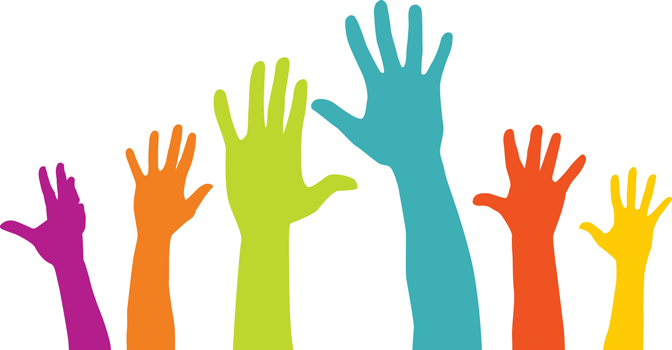 For the upcoming year, IOPSA will be improving and expanding the program to add more vale to its members. IOPSA will be continuing the weekly Free webinars for its members as well as including some exciting new additions such as an FEM section on the plumbers app where IOPSA members will have access to safety checklists for each task as well as vehicle checklists which can automatically be sent to direct managers once completed. For more information on the services IOPSA offers in regards to health and safety please feel free to contact our national office on 011 454 0025. Join today and receive a FREE webinar worth R250! I sat across from him and listened intently, my blood began to boil. “How would you know? You’re just a plumber who plays with sewerage all day!” said the kind gentleman, after I offered some input to a technical problem on site. It has been said that a real warrior is one who can exercise self-control. It is safe to say that on that day, I was the greatest warrior the world had ever seen. Instead of climbing over the table and throttling the kind gentleman, I exercised extreme self-control and remained firmly fixed to my chair. My mind on the other hand was working overtime. Flashes of me taking flight over the table and wrestling the kind gentleman to the floor ran through my mind frame by frame as my imagination ran riot. Let’s just say that in my short daydream, it didn’t end well for him. After leaving the presence of the kind gentleman, who remained unharmed, it got me thinking: Why would he say such a thing? Does he really believe a plumber’s day is spent in the company of raw sewerage? Does who honestly believe that plumbers are unable to contribute to society in a meaningful way? After some pondering I came to following conclusion: In the case of the kind gentleman and his “brilliantly” thought out words, there is a clear difference between his perception of what “just a plumber” does, and the reality of what a plumber actually does. You see, the kind gentleman’s perception is that all a plumber does is play with sewerage all day for a living. While handling sewerage is indeed something that falls under a plumber’s scope of work or expertise, it’s certainly not how we spend our days. The reality of what a plumber is and does, and the kind gentleman’s narrow-minded perception are worlds apart. What the kind gentleman fails to see, is how important “just a plumber” actually is. He is blindly unaware that “just plumbers” are responsible for the installation and maintenance of the systems that deliver clean water and remove waste resulting in the protection of countless people from communicable disease. There is acknowledgement from many within the public health community that clean, drinkable water has most likely protected more lives and extended life expectancy more than any medical advancement. I challenge anyone to live without water and drainage for 24 hours. Turn off the main water supply to your home or office and you will quickly find out how important having water to your taps and toilets really is. So next time you turn on your tap and fresh water magically appears, recognize who was responsible for delivering that simple convenience to you that is oftentimes taken for granted. When you flush your toilet and everything vanishes in front of your eyes, a plumber made it happen. When you are next enjoying that hot revitalizing shower or bath, recognize that it was the “just a plumber” who made that pleasurable experience possible. As plumbers, what we do really does matter. 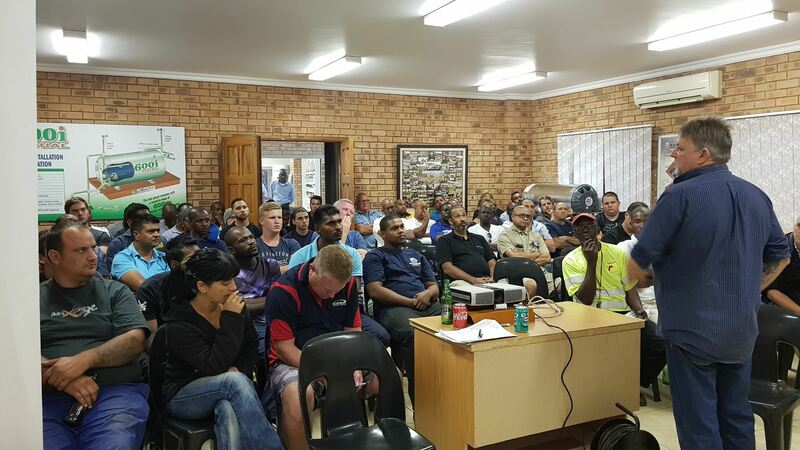 A record number of youthful Plumbers joined the IOPSA KZN Plumbers evening on 15 February at KWIKOT Durban. With the back doors of the Training room open, we had additional chairs and standing guests listening attentively. Barry Chapman of our KZN Ballito Sub-region welcomed and thanked everyone, thereafter introduced Michael Botha of KWIKOT who gave a brief chat to the large crowd. The venue was bustling with Plumbers old and new and Networking was in full force as ideas and thoughts were exchanged before and after the meeting. Steve Brown lead the Presentation showing the abundance of Value in IOPSA Membership. 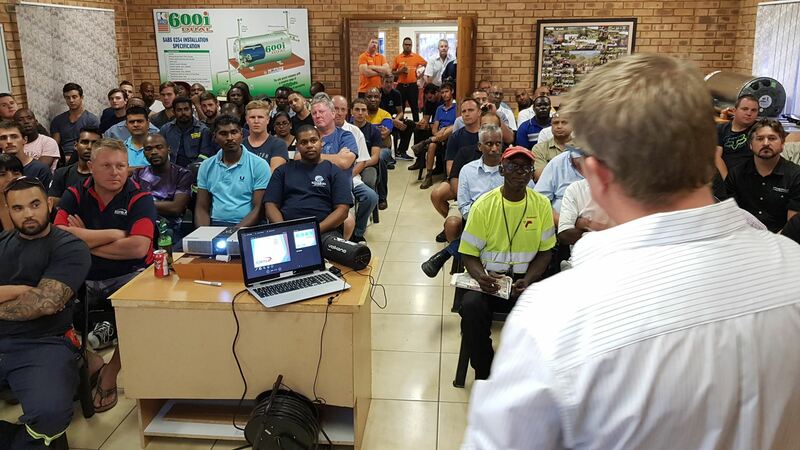 Mark De Wet from our National Office, addressed the keen plumbers and notified them of the changes to SANS 10254 (The installation, maintenance, replacement and repair of fixed electric storage water heating systems). The questions posed to IOPSA thereafter were met with great interaction from an enthusiastic crowd. Steve Brown our acting Executive Director and National Operations Manager captivated the crowds and his energy seemingly rubbed off onto these Professional Plumbers, creating an insightful and memorable evening. A great thanks goes out to our Host KWIKOT, senior Management and Staff for their hospitality. Further thanks to Bianca Brown and the KZN Committee for their outstanding efforts in getting the plumbers together.